It’s been a pretty cool year, too, with a lot happening, and the biggest thing that came out of it is that yes, I really do want to be a writer, and write for a living (albeit one that possibly just covers the cost of a coffee or two), and interact with other writers and readers. I won’t bore you with stats, but I can say that I’m enjoying my WordPress blog and the cool people I’ve met through it, and definitely Twitter for some great chat in short form, especially the bookclubs, with the occasional author drop-in. What a great way to have some interaction with someone whose book you thoroughly enjoyed, even if they live on the other side of the world! 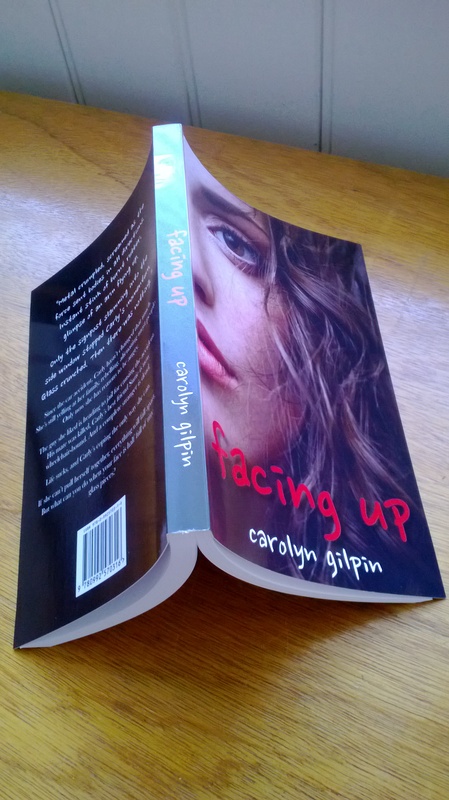 Meanwhile, I’ve really enjoyed hearing people’s reactions to Facing Up. One of my favourites was from a friend’s teenage daughter, who had started the book but then put it down. Eventually she picked it up again and finished it, and is now doing a school book review on it (*happy dance*). Her mum asked her why she’d stopped, and the response was that she hated the character Dave (the driver of the car which crashed and wrecked my main character’s life). I love that she had such a gut reaction to a person who had existed only in my head up until the book! Apparently you don’t have to be a teenager to enjoy it – it’s had a healthy spread of readers aged 14 to 89! This entry was posted in Self Publishing, Writing, Young Adult book and tagged #LoveOzYA, Amazon eBook, Book reviews, Facebook, Freebies!, Giveaways, Goodreads, Indie YA, Self publishing, Twitter, YA Books Central, YA novel. Bookmark the permalink. I love the reaction to Dave – it has to be amazing to hear something about how much a particular character came to life for a reader. Here is hoping to much future writing success – those coffees don’t buy themselves (unless you’re Choppy, in which case everything buys itself. Or seems to). I need my own Sarah to handle things these days. I will have to talk to Choppy and see what sort of mind tricks she engaged to get me to do all this work for her. Well done! Keep at it. Write because you love it. Write because you need to write, because you cannot bear not to write. Write because (unlike some) we have the freedom to write. Write because the words are itching inside your skull and demanding to get on the page. If you write from that sort of passion your readers will want to read what you write. Good luck! Well good on you for getting out there and actually doing it. I’m cheering you on from the sidelines.